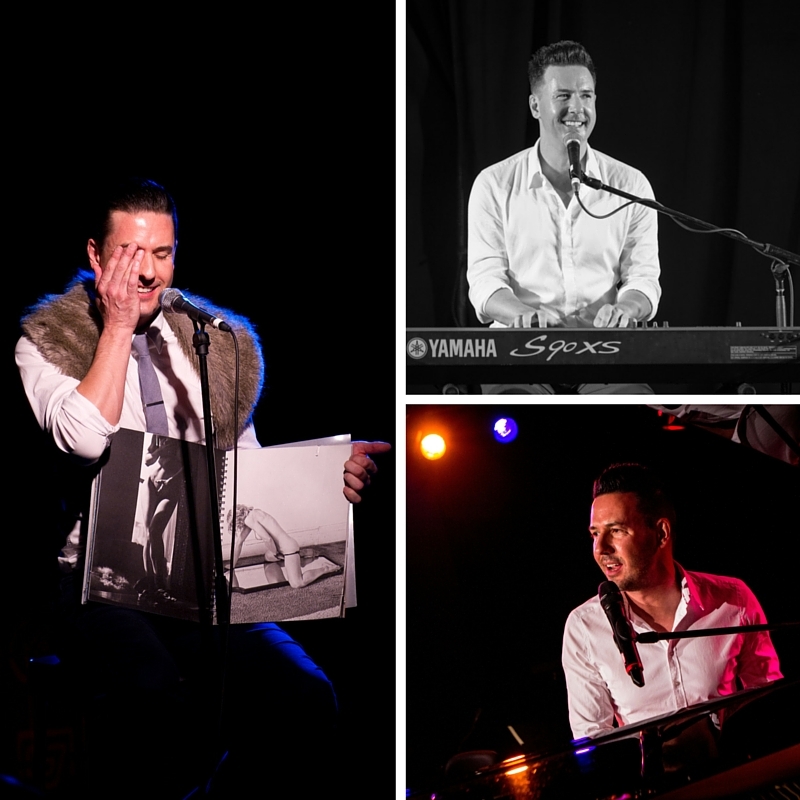 Award-winning Jersey Boys star, Michael Griffiths returns to Riverside in April, to channel both Madonna and Annie Lennox in two very different pop cabarets. We caught up with him ahead of this double bill to find out about the impact of these two talented women of pop on his career, about the show and what makes him tick. Why do you think the formula for this style of show works so well? Both shows come from a very sincere place of admiration for these two extraordinary women and their body of work. Audiences tend to be fans too so it’s very much a ‘love in’ but it’s also about giving the songs a dramatic context and looking at what was going on in their lives to inspire their lyrics. These songs have endured because they are cleverly crafted and tell stories and both shows are about sharing these stories in a very simple and ‘unplugged’ fashion. Is managing two similarly formatted shows on the same night confusing? Not at all. The shows complement each other and are often performed together. There is a strong nostalgia for the 80s with both shows and I shamelessly concentrate on the Eurythmics with Annie and the early days with Madonna because those are the periods that are the most transportive for me. What impact has Madonna had on your career? There has never been another entertainer like her and I’m confident there never will be. She is a constant source of inspiration both musically and as a live performer. Her refusal to let age weary her and uncanny ability to be one step ahead of her peers is what impresses me the most. What impact has Annie Lennox had on your career? I adore Annie. Growing up she was my idol. The melancholy nature of her work is what I connect with the most – Here Comes The Rain Again would have to be one of the saddest pop songs ever written and yet still remains ‘catchy’ with a disco beat. Annie uses her art as a kind of public therapy and the show explores the concept of healing through art. Name one of your career highlights. Doing Sweet Dreams in Edinburgh to sold out houses and rave reviews last year was certainly a highlight. Meeting Tom Cruise after he saw me perform in Jersey Boys in Melbourne was pretty cool too! What is your favourite Madonna and Annie Lennox song? What do you like about performing these shows as a double bill? Both shows are a bit of a ‘time warp’ and I love when an audience comes so willingly with me. Seeing as I don’t impersonate, both shows very much insist that you suspend your disbelief. Are you seeing Madonna when she comes to Australia this month? Yes I’m seeing Madonna in Sydney this coming Saturday, I can’t wait! If you were stuck on a desert island who would you prefer to be with – Madonna or Annie Lennox? I’ve seen Swept Away a dozen times where Madonna is at her absolute worst on a desert island so I’ll have to go with Annie! Michael Griffiths double bill In Vogue: Songs by Madonna and Sweet Dreams: Songs by Annie Lennox plays at Riverside Theatres 16 April. This show is ideal for a girl’s night out! Click here to secure your seats now!